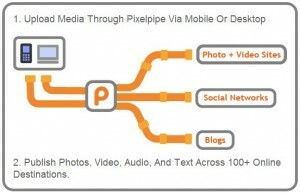 Pixelpipe is proud to announce that reach the final version of Pixelpipe Share Online 1.03. It’s the latest update of one of the biggest social media sharing app for Symbian. It also support wide range of Symbian devices and this is available to download for free for S60v3 FP2, Symbian^1, and Symbian^3. With the increasing multimedia functionality of smartphones, Pixelpipe will ensure that you can upload and share your photos, videos and files to more than 100 social networks like Facebook, Twitter and Youtube.